The airport of Athens used to be inside the city, in Elliniko, very close to the center of Athens. 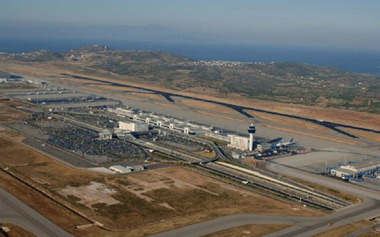 The new airport, Eleftherios Venizelos, was built outside the city of Athens but inside the prefecture of Attica, 35 km away from the center of the city, meaning about an hour. 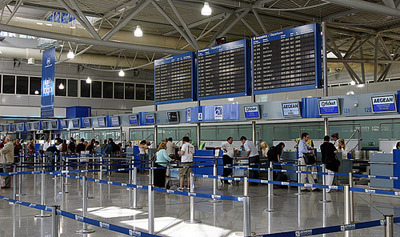 The airport of Athens is very modern, offering its guests excellent facilities and services such as flight information screens, phone lines for immediate assistance to the public, informative leaflets, friendly and experienced staff always at the disposal of passengers and visitors, offering the best possible service. 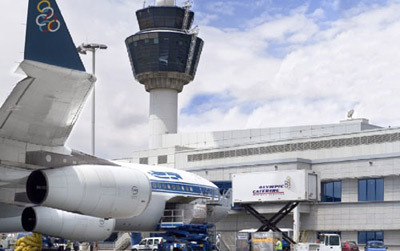 In addition, the airport of Athens offers different restaurants, fast food, bars and cafes for the visitors, large waiting lounges, a business center, car rental services, an entertainment area for children and shops selling all kinds of things including cigarettes, newspapers and magazines. 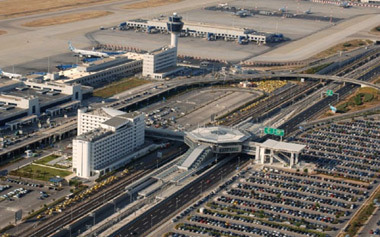 Athens International Airport provides 4,800 short and long-term parking lots. All parking facilities are equipped with automated payment machines for easy and quick payment, while electronic message screens provide continuous information on parking vacancy. The Shopping Centre of Athens International Airport has been ranked amongst the top shopping centers of the finest European airports, offering tempting prices in combination with superb quality and variety, satisfying even the most demanding customers. A prime concern for Athens International Airport is to provide the best possible services to people with disabilities making their stay pleasant. 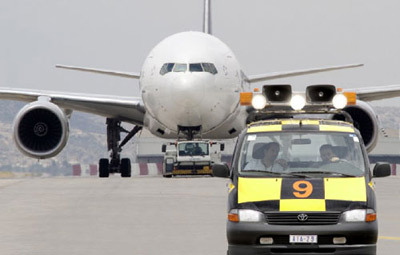 AIA' s particular services and facilities, secure fast and easy access and transportation to the airport, while the airlines and the ground handlers provide special services when needed. Passengers requiring special assistance should notify their airline at the time of ticket reservation and carry with them all necessary medical documentation. Baggage storage is an important service for people who are travelling with connecting flights with time breaks in between or if they are early on the airport and the check-in counters are not yet open to the public. 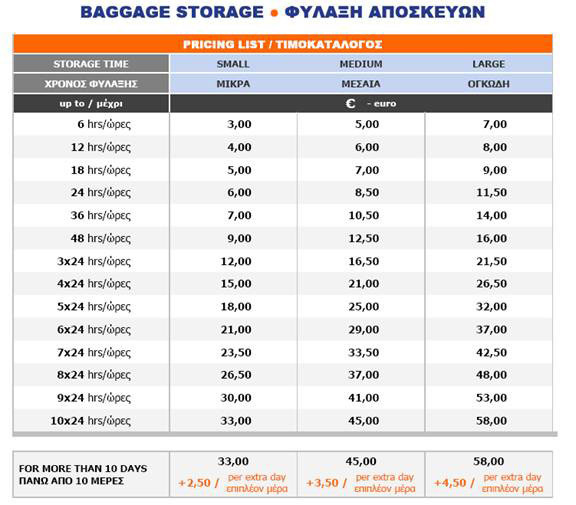 The price list of Athens International Airport baggage storage are given to you below. For the businessmen and internet freaks who can’t do a moment without internet there is a Wireless Internet Zone Service which enables you to access the Internet using your laptop or palm computer from any location in the airport where you see the sign "Wireless Internet Zone". The Airport’s Retail Park is located 2km south of the Main Terminal Building and can easily be accessed via the Attiki Odos highway (Exit to Airport Retail Park), while it is also serviced by airport bus lines. There, you will find huge stores like IKEA, MEGA Kotsovolos, Olympus Plaza Food Park, Factory Outlet and the adjacent Shell Gas Station selling furniture, super market goods, clothing and shoes while there are also restaurants and cafes where you can eat or have a drink. You can access Athens from Athens International Airport (AIA) via public transport that operates on a 24-hour basis, ensuring efficient transportation to key areas of the Attica basin and tourist attractions. The main access road to Athens International Airport (AIA) is Attiki Odos and this is the best road to follow if you want to go to Athens by car. 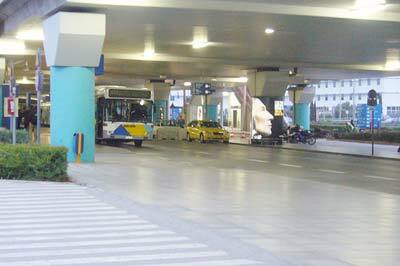 Other ways to reach Athens from the airport are by bus or the metro (suburban railway). Taking a taxi from the airport is probably a very good idea especially if you have luggage because the taxi driver will get you to your destination without getting tired or wondering which bus to take or whether you should take the metro (which is a good idea as well). The taxi queue is outside Door 4 of the arrivals level. It will take you about 40 to 60 minutes to get to the center of Athens since Eleftherios Venizelos Airport is a bit far from the city. The cost of getting to Athens from the airport is about €20 to €30. If you have luggage you get charged a bit more. The express buses follow the same routes as the usual buses but they make fewer stops so they reach their destination quicker. Be careful to take the right bus, meaning the one making a stop to the location you want. The buses leaving from the airport to different destinations are usually express buses. 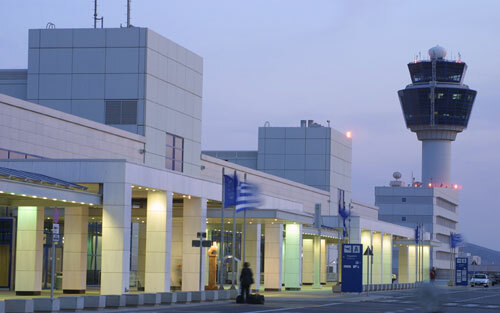 All buses depart from the arrivals level of the main terminal between doors 4 and 5 while six bus routes connect the airport to central Athens and the port of Piraeus. It will take you from the airport to Kifisos Intercity Bus Station from where buses to Peloponnese, Epirus and Macedonia depart. Ticket price: €3.20 one way. Time: Buses leave every 30 to 45 minutes and the duration of the whole route is 50 to 70 minutes. It will take you to Syntagma Square in the city centre in 60-85 minutes. You can catch it every 20 minutes from 5:00 to 23:59 and every 40 minutes from midnight till 4:59 am and it will take you to Piraeus (port area). It will take you from the airport to the metro station of Dafni. 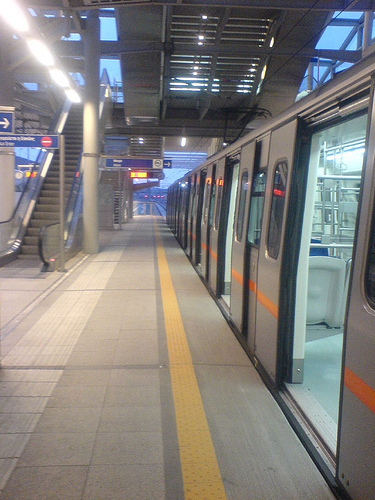 You will take the blue metro line 3 which will get you to Syntagma square (very heart of Athens). Note that metro line 3 normally reaches until Doukissis Plakentias station. Afterwards it is connected with the Athens suburban railway. But you don't have to worry much about that. Pop on the train and you'll get to Athens center. From the Airport of Athens, Eleftherios Venizelos you have the opportunity to visit many cities of Greece and the islands whose airports’ face a great deal of traffic during the summer and other seasons as well. Below you will find a map with all the airports of Greece including the airports of Mykonos, Crete, Rhodes, Lesvos, Santorini, Thessaloniki, Kavala, Ioannina, Kalamata, Alexandroupolis and many more.